While I sincerely hope that you are not experiencing marital difficulties in your family, it is an unfortunate reality that my clients have encountered domestic issues in their homes. For many of the clients that my firm represents, when problems occur in the home it usually has a direct financial and emotional impact which transcends into other aspects of their lives. Divorce, equitable distribution, paternity, fathers rights, parental alienation, grandparent rights, domestic violence, and order of protections are all areas of matrimonial and family law that my firm deals with throughout Suffolk, Nassau and Queens Counties, in Long Island, New York. 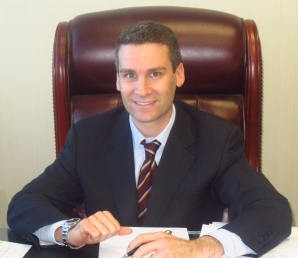 As a well-respected divorce attorney with nearly two decades of experience in this field, I have represented countless clients in both the Supreme and Family Courts throughout Long Island. I understand firsthand how difficult it can be going through a divorce and being a single parent, because of my own experiences, I am very sensitive to the emotional and financial costs associated with divorce and family issues. While you may be experiencing anxiety during these trying times, rest assured that you should not have to worry about your attorney providing aggressive, compassionate, high quality legal representation at competitive rates. It is extremely important to my firm that my clients’ interests are protected as well as their families. Whether this can be effectively accomplished through skillful and creative settlement negotiations or vigorous and zealous representation at trial, my office will work tirelessly to achieve this result. My firm works with a staff of well-respected and experienced professionals when needed, such as: marriage and child therapists, forensic custody experts, forensic accountants, business valuation experts, vocational experts and real estate appraisers. When you choose to work with my law firm, you will work with an experienced family law and divorce attorney who will listen to your needs and address them while providing you with practical legal strategies in order to protect your interests and that of your family. Each client will receive my cell phone number so I can be reached in the event of an emergency or after business hours. It is inevitable that issues may arise at night or on the weekends, so my firm encourages our clients to feel free to contact us if there is a pressing issue that needs to be addressed.